Nick Hollings. Guitar Teacher Reading Berkshire, UK. "Nick has had a massive influence on my playing and is an inspirational teacher, always pushing me to think outside the box..."
“Nick is a master player with a fantastic breadth of knowledge, ability and musicality. Two years of regular lessons..."
Whether you simply want to unwind after a busy day by playing the songs you love or you want to improve your playing technique; whether you play in a band with mates for laughs or you are a professional musician; Nick Hollings can help you realise your goals. 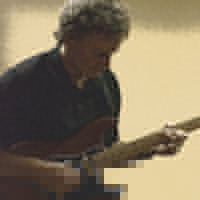 With over twenty five years of teaching experience, and a background as a professional guitarist, Nick has the expertise, and the passion, to help you to quickly progress whether at beginner or professional level.